The Hillcats hadn’t won a series against the Salem Red Sox in 2011. That changed on Sunday night, as the Hillcats scored 10 runs on 13 hits and won 10-5 for their first win in the 460 series. The two teams exchanged runs early in the game. The Hillcats scored first on some aggressive baserunning by Keenan Wiley. Wiley led off with a bloop hit that fell in front of left fielder Vladimir Frias. Wiley took a big turn around first and took off for second, sliding just around the tag at second. He stole third, and later in the inning, Joey Terdoslavich singled him home, giving the Hillcats a 1-0 lead. Salem responded with a run of their own in the top of the second. With runners on first and second, Alex Valdez hit a soft grounder to Andrelton Simmons. Simmons tried to make the throw to first, but threw it over the head of Terdoslavich. The runner on second, Dan Butler, came around to score to tie the game at one. The Hillcats scored three in the bottom of the third. Keenan Wiley led of the inning by swinging at a third strike, however, the ball hit the dirt and Wiley made his way down to first. He stole second, and then advanced to third on a bunt single by Simmons. Phil Gosselin then hit a ball that was misplayed by third baseman Kolbrin Vitek, which allowed Wiley to score. Terdoslavich then doubled home Simmons and Joe Leonard hit a sacrifice fly, scoring Gosselin to make it 4-1 Hillcats. Vladimir Frias tied the game up with one swing of the bat in the top of the fourth. With two-on and two-outs, Frias hit a three-run home run to left to tie the game. Lynchburg broke the game open in the bottom of the fourth. After L.V. Ware and Wiley reached base, Simmons drove both of them home with a double. Two batters later, Terdoslavich knocked Simmons in, for his third RBI of the game. That single chased Salem starter Anthony Ranaudo (2-5) from the game, and Jeremy Bayer came in to face Joe Leonard. 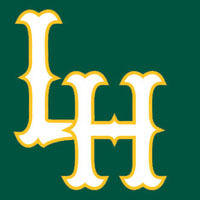 Leonard launched a two-run home run to left field to make the score 9-4 Hillcats. The teams exchanged runs in the sixth. Miles head hit a solo home run for Salem to temporarily cut the lead to four. Joe Leonard came through with his fourth RBI of the game in the bottom half of the inning on a single up the middle, and the lead became 10-5. Hillcats starter Dimasther Delgado (7-6) worked five innings to earn the win. He gave up four runs, three earned, on four hits and struck out three. Andrew Wilson and Eliecer Cardenas combined for eight strikeouts in four innings out of the bullpen. Lynchburg won their first series against Salem this season, and are now 13-23 in the second half. Salem fell to 15-21. The Hillcats have a day off on Monday before traveling to Frederick for a three-game set on Tuesday. The first game will have a 7:00 pm first pitch at Harry Grove Stadium and will see Aaron Shafer (3-3) face off against Ryohei Tanaka (7-3).